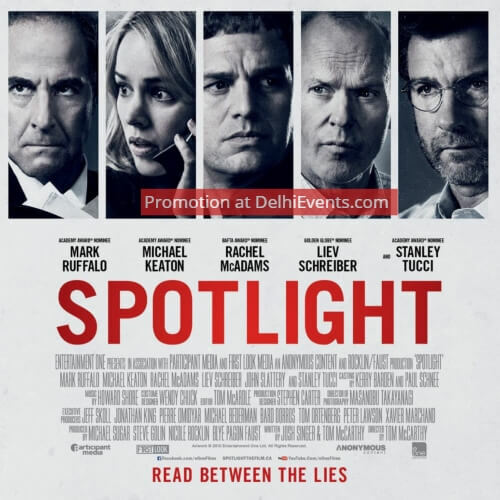 Event Description : FILM : Kanka presents “Spotlight" Academy Award winner for Best Picture based on the true story of how the Boston Globe exposed the child molestation happened at Catholic Church. In Celebration of World Press Freedom Day. Cast : Mark Ruffalo, Michael Keaton, Rachel McAdams etc. About the Organization : Kanka is an Art Initiative, which aims to provide fine studio & exhibition space to artists, and organise regular events for art and cultural appreciation.